Those of you that are parents know that as soon as you start vacuuming, your kids are more than willing to help, either with their little kiddie Vacuum or even the one you are using. Kristina Anderson, a graduate of Lundus University School of Design has a solution. 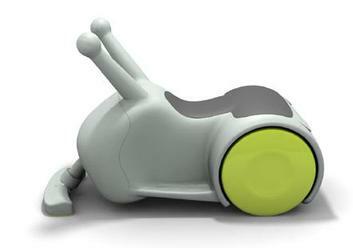 Back in October last year, she designed this rideable vacuum cleaner concept for her thesis project for Philips. I’m not sure if it went / will go into production. 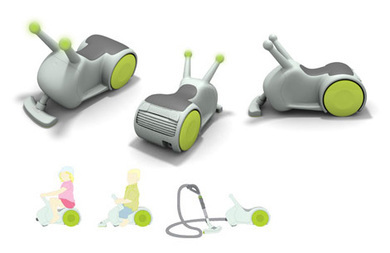 Ideal for little for parents with little ones, they can ride on it as you vacuum, and as they grow they can use it themselves. 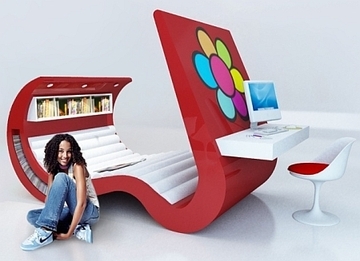 Brazilian designer Roberta Ramme has this wave chaise [concept] which features built-in TV, DVD player, audio system, desk, and storage space for your CD/DVDs. (Designer's own words) "Imagine a furniture to wear… then dress it with an innovator design, intense colors, ergonomics and technology appeal. Like in fashion, the point is to unify beauty, comfort, and functionality. Whether your desire is to watch TV or DVD, listen to your favorite CD, read, talk on the phone, or even study, take a nap or browse the Internet, you got it close, in a multifunctional chaise-lounge........" You get his vision? 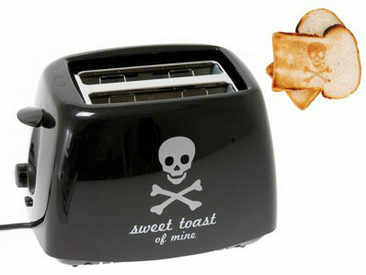 The Glide toaster combines both style and function. 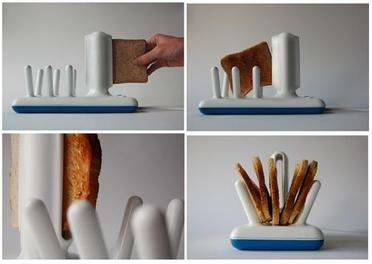 Made from bone china, it makes sure that your bread is evenly toasted. You don't even have to stand and wait, just pass a slice of bread through the heating elements and its will be deposited on the other side of the toaster. Glide was designed by George Watson from the U.K. This what he had to say "...This toaster is designed to engage the user, re-invigorating the social context of toasting by questioning everything about what we toast with today. I was also keen to make playful object to be proud of having on your breakfast table. Slip moulded bone china allowed me create this intricate and sculptural form, but also provided the material longevity that I required...." There you have it. 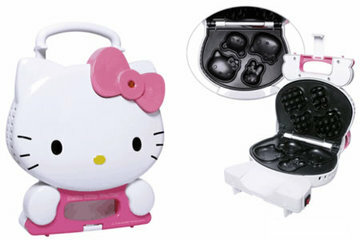 I am not sure when the toaster will available for sale. How about a coffee table with a fireplace in the middle, Yep! 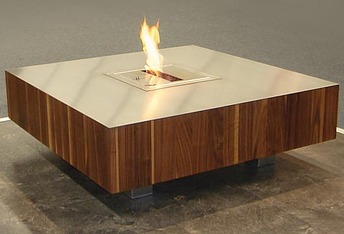 Schulte Design has a collection of "fire furniture" which feature a stainless steel topped coffee table and a pedestal with a fireplace in the middle. The liquid used on the fire is smoke and emission free. Other amazing pieces of furniture from Schulte Design include the "Grace kitchen Centre" which is available in various Schulte Design woods, has integrated mains outlets-to avoid "cable spaghetti," and can double as a working area/dinning table. 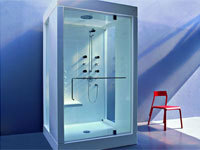 I don't know if Spas use chromotherapy to heal clients, but an italian-designed steam and shower cabin can change up to eight different colors to fit your desired mood. If you like red hot showers or cold blue showers then this is something you might consider for your new condo, also the price is steap for some of us. 14,000 pounds. 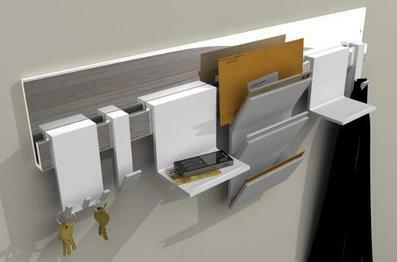 Have you ever tried to place an object on a shelf, table, desk, or a nightstand in a dark room? It's frustrating, especially when it's a glass of water that eventually ends up on the floor. 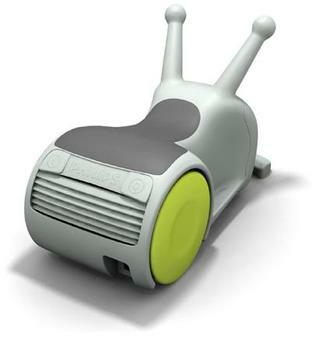 Anyway, design student Chris Owens has a solution if only his Final Project can be turned into reality. His project is a self-illuminating shelf "Illume" that is illuminated by bright LED lights when an object(s) is placed on it. Can be used also in sports bars and night clubs.